← Family Friday | Turning One is So Much FUN!! For a little while longer, I will be offering portfolio building sessions. Receive a significant discount on your order with every paid session fee and signed model release (allowing me to use images from your session in my print/on-line marketing materials and in my on-line galleries)!! Please contact me for details regarding this offer. There is absolutely NO obligation to purchase anything from your session and for the duration of the Portfolio Building Session, the minimum order requirement will be waived, as well. 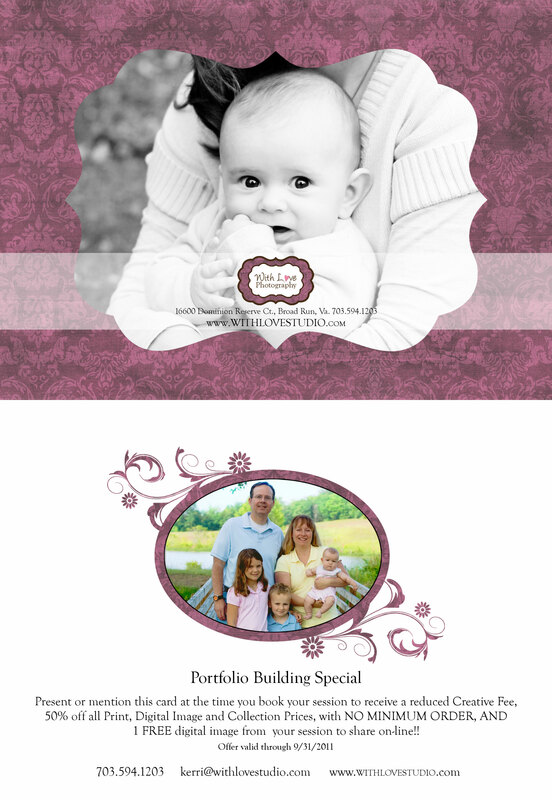 Finally, you will also receive one water-marked digital image, for on-line posting and sharing. 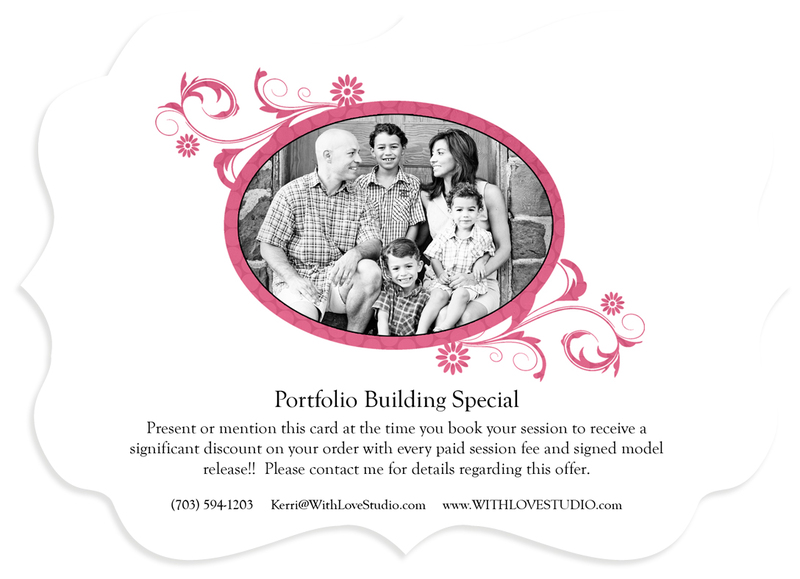 What a great opportunity to update those family photos for Holiday Cards!! Contact me soon to schedule a session, as I will have limited availability and will only be offering these sessions for a short while longer. This entry was posted in Marketing, Specials. Bookmark the permalink.